How could the end of net neutrality affect online marketing? The FCC repealed net neutrality in a highly contested decision that likely will influence the future of online marketing as we know it. “Net neutrality” refers to the idea that internet service providers (ISPs) must treat all websites equally, which means they cannot block, throttle (slow down page loading times) or charge for access to certain websites. With net neutrality repealed, there will likely be a lengthy court battle ahead to determine whether or not ISPs should be allowed so much control over consumers’ internet usage. Assuming net neutrality is truly repealed, how will this affect online marketing? It could lead to higher marketing costs for services you pay little to nothing for right now, and audiences might back away from using certain websites and social platforms if their ISPs block them or charge extra for access. For a real-world example, Portugal doesn’t have net neutrality and allows ISPs to charge different amounts for access to separate services (e.g., 5 euros for access to messaging, plus another 5 euros for access to social media). This could be very damaging for the future of video marketing content in particular, which takes up more bandwidth to load. If ISPs are permitted to prioritize certain websites over others, then small and medium marketing companies (any company, really), might be in for some bad luck. Huge corporations and marketing agencies can afford to pay ISPs to ensure their customers are fast-tracked to their websites, but smaller companies risk hurting their profit margins to keep up. An added downside is that if you don’t pony up extra money to pay ISPs for faster loading times, then you risk website visitors bouncing from your page due to frustratingly slow load times. Imagine what would happen if American Internet users suddenly had to pay an additional fee just to access their social media accounts (in addition to what they already pay monthly for their internet service). Many people would probably stay, but a good chunk of social users might flee from the platforms instead of paying a few extra dollars per month to access a previously free service. This means that social media marketers in particular might be hard hit by the end of net neutrality because audiences will shrink and advertising costs might go up as Facebook, Twitter, Instagram, and others have to pay ISPs more money to ensure their users get fast access to their accounts. All in all, the end of net neutrality is a huge deal for anyone who uses the internet, but especially for those who primarily use online marketing campaigns. We can only hope the FCC’s decision will be overturned in the courts, but until then, it’s best to start thinking about how you can revise your marketing strategy to account for changes to internet policies and ISP surcharges that might come in the future. A vast majority of business pages on Yelp are unclaimed, which signals to Yelp users that you’re not paying attention to what customers think about your business. This usually means that both happy and angry customers know they’re leaving reviews for other customers’ benefit, rather than expecting a response from you. While there’s no downside to happy customers simply reporting a good experience with your business, upset customers publicly posting about their bad experiences can damage your brand’s reputation if you aren’t able to respond to them (which you can only do if you prove you own the business and claim it). Additionally, you could be missing out on a useful communication channel for inquiries about your businesses if Yelp users aren’t able to message you questions, comments, reservation requests, and other concerns, so get started right away and claim your page! Why leave customers to wonder if you accept credit or debit cards? Or if you are child/dog friendly? 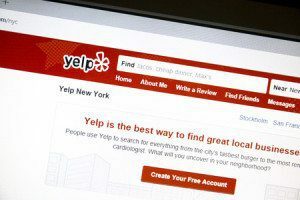 There are so many details about a business beyond location, phone number, and business hours that Yelp users want to know before deciding whether to buy something from you. It might seem trivial, but leaving most of these potential questions unanswered could have serious consequences, such as driving away would-be customers who found your competitor’s highly detailed Yelp page more enticing. If you’ve ever watched the Kitchen Nightmares episode about Amy’s Baking Company, then you have some idea of how not to treat customers who are less than thrilled about the item or service your business sold them. For those unfamiliar with the baking company, it gained nationwide attention after the restaurant owners used threats and profanity to respond to negative Yelp reviews on their social media pages (Google the company for screenshots). This scenario is the perfect example of how not to treat customers who post negative reviews on Yelp. Instead of fighting fire with fire on Yelp, respond in a positive manner and ask the upset customer to privately message you to see how you might be able to resolve their problem. If you’ve ever used Yelp on the customer side of business, then you might have noticed that some pages have special offers and discounts you can unlock by checking in at their location. These typically range from a small free item (such as an appetizer at a restaurant) to a percentage discount off your purchase. Incentivizing customers to visit your establishment with these Yelp-specific deals can give you access to a much bigger base of potential paying customers than if you rely solely on local print advertising or verbal word-of-mouth referrals. Finally, don’t forget to have a sign somewhere in your business (and website!) that encourages satisfied customers to leave reviews for your company on Yelp! Even this simple call-to-action could make a difference for your reviews count, and more Yelp reviews suggests greater popularity for a business, so you could score new customers through this valuable method of social proof as well.